Romaine lettuce contaminated with E. coli is making people sick again, and now, the Food and Drug Administration has a better idea of where it’s coming from: investigators working over Thanksgiving traced the tainted lettuce back to the Central Coast growing region of California. The FDA now says we’re clear to eat romaine grown in other regions. But if you’re craving a caesar salad after last week’s produce purge and can’t tell where the romaine’s from, don’t buy it. E. coli naturally hangs out in animal guts — and many strains aren’t harmful to people when ingested. But the strain involved in this latest outbreak, E. coli O157:H7, produces dangerous toxins and can cause kidney failure. So far, 43 people in the US and 22 people in Canada are sick, according to a statement from the FDA. At least two have developed kidney failure, according to last week’s announcements. At first, the FDA and the Centers for Disease Control and Prevention issued a nationwide warning against eating all romaine. After investigating, the FDA is now limiting the warning to only romaine from the Central Coast growing regions of California, where romaine grows over the summer. 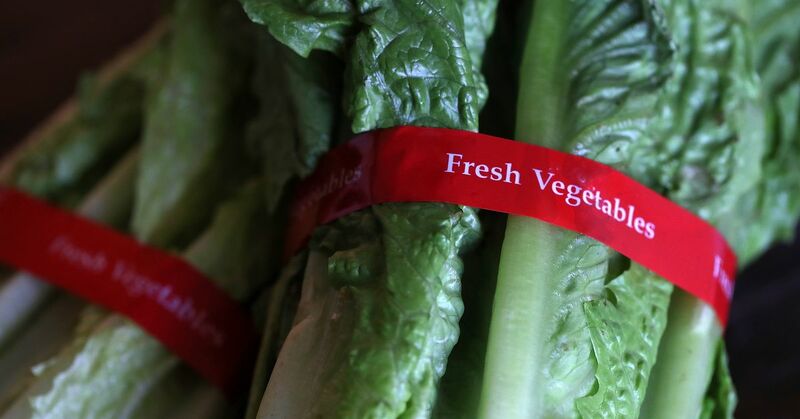 “The outbreak appears to be related to ‘end of season’ romaine lettuce harvested from these areas,” the FDA said in its announcement today. The agency says that there’s no reason to think that regions that grow romaine during the winter — including Florida, Mexico, and desert regions of California and Arizona — are contaminated. Lettuce grown hydroponically and in greenhouses should be fine, too. That’s why it’s key for produce on grocery store shelves to be clearly labeled, the FDA’s statement says: knowing where food comes from will help consumers avoid contaminated and recalled foodstuffs.